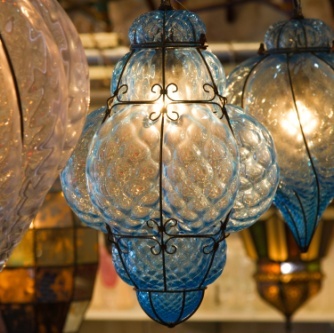 Venetian glass is admired all over the world for its delicate perfection and incredible color schemes. The art of glass blowing existed in Venice long before the 10th century. When the high temperatures of the glass furnaces posed a threat to the predominantly wood-crafted buildings of Venice, the authorities decided to shift the whole industry to the island of Murano in the Venetian lagoon. 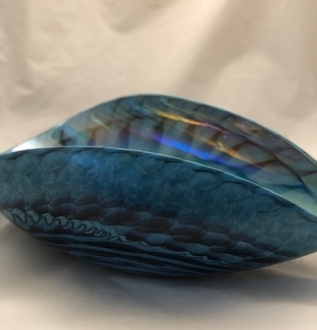 Isolated from the rest of the world by destiny or design the glass maestros experimented with the designs and pigmentation and invented quite a few stunning and complex techniques which earned name and fame for the island of Murano and its glass art. The bullicante technique involves the insertion of several layers of bubbles into thick glass. The bubbles are inserted in a grid pattern and they appear at regular intervals giving an effervescent appearance to the glass articles. This is a glass coloring technique used by the traditional murano artisans. 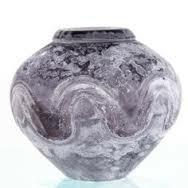 The magnificent calcedonia striations are obtained by combining certain chemicals into molten glass. The specialty of this is that the design is beyond the control of even the artists. As a result, no two calcedonia article can look identical in striations. The technique was lost and rediscovered at least three times in the history of glass blowing. Cameo is a complicated technique which needs a high level of expertise. Two glass layers of two different colors are combined at first. Then carving is done in such a way that a raised design is produced by the exposure of the second layer. This creates very charming designs. 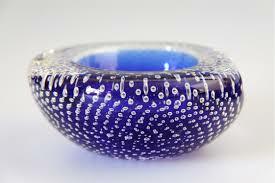 But it takes an expert Murano glass artisan to create very elaborate and intricate designs. 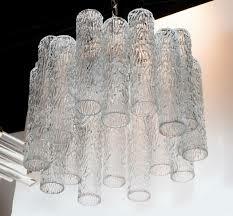 The cristallo murano glass is an extremely clear glass. This clarity is obtained by bleaching the molten glass using manganese or similar agents. This is a highly fragile thing and if any craving or etching is to be done, it should be done manually. This magnificent glass is developed in 1450 by the famous Angelo Barovier of the legendary Barovier family of glass blowers. Fenicio glass is an extremely decorative glass. The fenicio glass objects have garland like designs on them. This makes them truly spectacular. 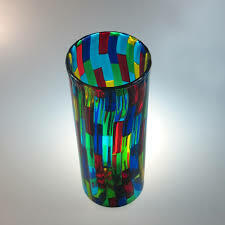 The technique involves wrapping the glass objects with multicolored glass threads and combing them into place while they are still hot with a special tool called ‘meneretta’. 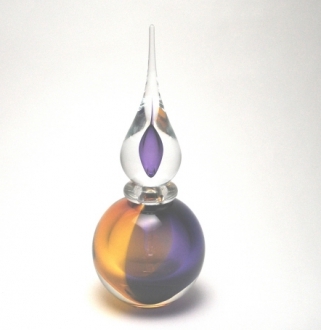 When cooled, they will give the glass objects a stunningly beautiful look. This is a very ancient technique. 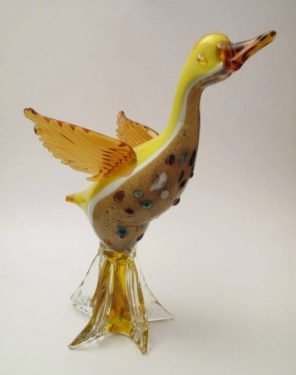 However, it came to Murano sometime in the 17th century. The filigrana technique is a very simple one. Still, it has to be done with extreme care, so as to form beautiful patters on the objects. A number of opaque glass rods, white or colored or both are placed on a clay surface. Then the whole thing is heated and blown and shaped. It needs to be heated many times before the required shape is achieved. This technique involves extremely careful handling. But the resulting object is really a visual treat. The ghiaccio glass objects are distinguished by their cracked-look. The whole object will resemble cracked ice pieces. This effect is obtained by dipping the hot glass objects in cold water to crack their surfaces first and later covering these cracks with another layer of molten glass. Then the cracks will appear through a layer of clear glass, making the object look as if it is made of ice. That is why it is also referred to as ice glass. 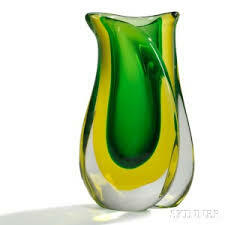 The incalmo glass objects are multicolored and so they are very decorative in appearance. The different parts of an object is colored separately and joined together while they are still hot and sticky. Then the whole thing is blown and shaped to f orm a multicolored article. This is also known as milk glass. ‘Latte’ means milk in Italian. The glass looks like fine china porcelain. This is usually opaque and milky white in color. 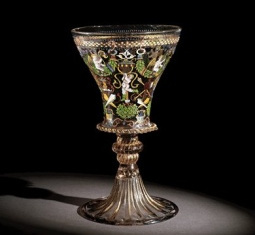 This glass technique was invented in the 15th century in Muran o. Afterwards, the milky white surface was colored using enamel. 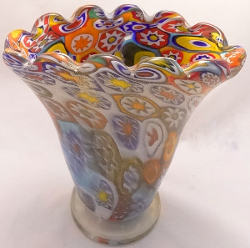 Murrine is one of the most complicated and time-consuming murano techniques. First the artist rolls a central rod in many differently colored glass liquids. When this rod is cut transversely into thin pieces, they display multicolored cross sections. These cross sections are arranged on a surface and the blown and shaped objects are rolled over these, while hot. The multicolored pieces stick to the surface of the object to give it an extremely picturesque look. 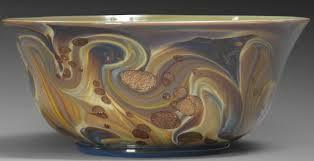 The murrine glass is admired and valued greatly all over the world. It is also known as ‘millefiori’. 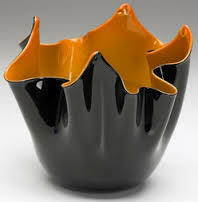 This is a technique in which the blown glass objects are given multiple layers. These layers are usually of different colors. 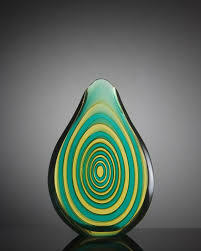 This effect is achieved by dipping the object several times in molten glass of different colors. This produces very thick and heavy glass objects. 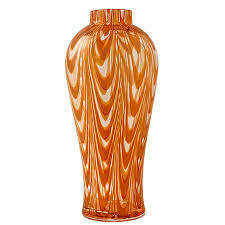 The technique was developed in Murano in the 30s. Sommerso literally means ‘submerged’. The technique makes the name meaningful. 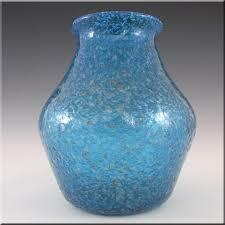 The relief of a balloton glass object has a diamond pattern. 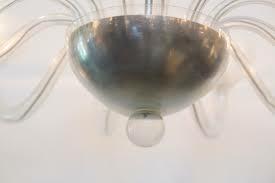 This effect is achieved by blowing the glass into bronze moulds with small points to keep the design in place while blowing. Shaping this glass has to be done with care. The diamon d design is likely to be disturbed if not handled carefully. 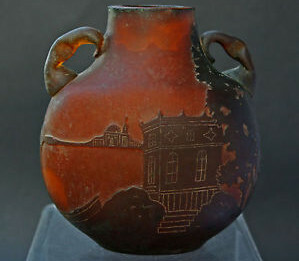 This technique gives the object an antique look. It is made to appear as if they are excavated from under soil. To give the object the matte look of an object buried in soil for many years, it is heated with carbonates and nitrates that decompose with heating. Usually the objects are grey in color. But the ancient look also can be given to various colors. It all depends on the artist. The retticello technique gives the relief a netted design. The artist places opaque and clear glass rods so that they cross each other many times. He places sections of this side by side and forms a cylinder with his blow pipe. When this is blown, it forms a net-like pattern on the glass objects. That is why it is named reticello or net. This glass, as the name indicates, is iridescent. It reflects the colors of the rainbow. This effect is obtained by a special technique. The artist holds the article, while he is shaping it, over the vapors of melted salts of metals like tin and titanium. The vapor makes the white glass exhibit the component colors of the rainb ow. The bollinato glass has many layers of small and big bubbles embedded in a thick layer of glass. This is a technique in which the glass, while it is still malleable, is rolled on a metal surface with spikes on it. These spikes will make holes in the not-fully- solidified glass. 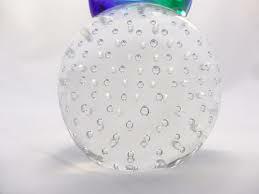 Afterwards the holes are covered with layers of molten glass and the air inside the holes gets trapped in the glass. 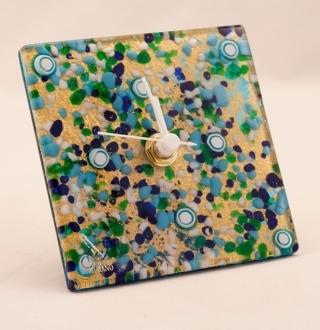 The murano glass article, which is crafted using the macette tech nique has myriads of colorful glass particles on its surface and embedded in the glass walls. The artist rolls the malleable glass objects on a surface on which are scattered small glass pieces of different colors. These pieces stick to the surface or gets embedded in the walls to give the articles a dotted appearance. 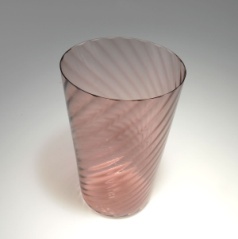 This glass technique gives rise to elegantly striped products. They are very colorful objects. 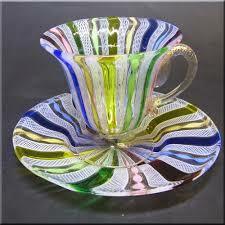 This is done by putting several glass rods of different colors together and fusing them together to form a striped mass. This mass is then blown and shaped to form exquisitely colored designs. This technique was lost when the murano glass industry had declined. But it was reinvented later in the 19th century with an added zest. This is a technique by which articles with beautiful ribbed relief is created. 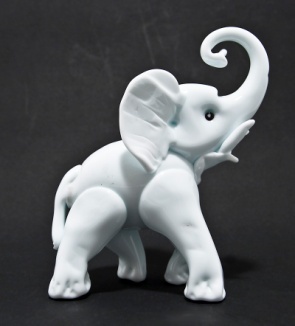 The artisans use moulds to create this ribbed appearance. 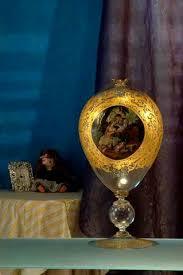 Then the glass created thus is further blown and shaped by the artists according to their imaginati on. Using this technique innumerable bubbles of many sizes are produced in the molten glass. The artisans pour petrol into the molten glass to make it bubble over. This makes the glass translucent. 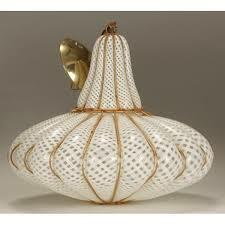 The glass mass produced thus is then blown and shaped to form different articles. 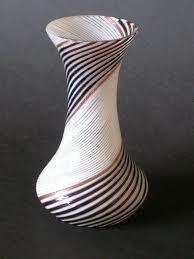 This is a technique that produced beautiful vases with two differ ent colors on its inside and outside. The technique involves the fusion of two sheets of glass with two different colors. 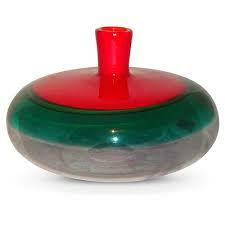 Then this is shaped into vases that have different colors on the inside and outside. The pezzato glass articles look like patch work. Glass pieces of various colors are arranged on a metal piece and heated till they begin to melt. The blown articles are then rolled over them so that the pieces stick to them. Once the pieces are in place, it is cooled and smoothed using machines. This technique is highly complicated and burdensome. So, very fe w articles are produced using this technique. For this, first the artist has to make a large murrine piece with two alternating colors. This piece has to be heated till melting point and applied to the vases. Thereafter, it has to be ground and smoothened using machines. 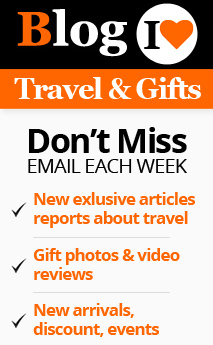 The resulting article is really eye-catching. This is enamel work. Special vitreous enamels with lower meting points than glass are used. These enamels are elastic to a certain extend so that they won’t break when the glass cools. These enamels are applied on glass when cold. The articles are then placed in an oven and heated up to 500 to 600 degrees. The enamel then fuses with the glass making the painting work permanent.